Thinking about graduate school? 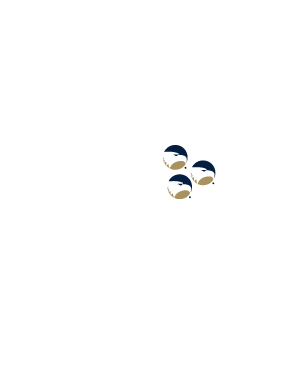 Apply today and Georgia Southern will waive your application fee for most programs. We’re making it easy. Free Days in February will help you take the first step to an advanced degree at Georgia Southern University. Once you have created your account and enter your application, click on the Application Information link under Application for Admission located on the top left side of your screen. See image below. 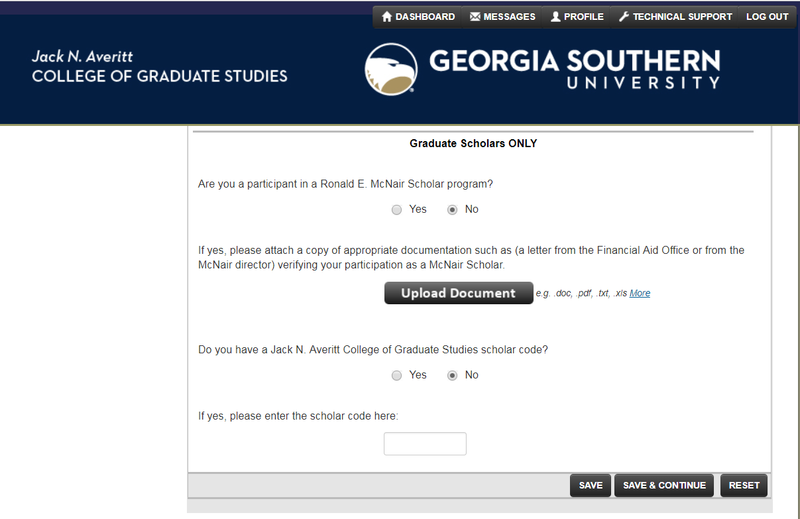 Under the “Graduate Scholars ONLY”, which will appear as the last section on the page, click yes that you do have a Graduates Studies Scholar Code and enter the fee waiver code, GSGRAD, in the “Scholar Code” text box. See image below. To learn more about our graduate programs, simply click on the name of the college to expand their offerings. Then click on the individual program for program requirements, deadlines and the apply now link. Please note: Achievement of the minimum admission requirements does not guarantee admission to a graduate degree program. A student who is admitted to one graduate degree program is not guaranteed admission to any other graduate degree program at any time in the future. A: We offer this Web-based application in hopes that it will make our application process as easy and convenient as possible for you. You can get started right now, Apply Today! All of the required documents can be easily uploaded and attached to your application. Q: Where can I find the program requirements and application deadlines? A: A complete list of the Graduate Programs offered can be found online. View the complete list of graduate programs offered. Simply click on your program of interest to access that admissions requirements and the application deadlines. Each program has a unique set of admissions requirements, make sure you review these thoroughly. Q: What needs to be completed by the application deadline? A: The application deadlines listed for each program are the dates in which all ​​required documents listed on the “admissions requirements” tab for the program must be received. If all required documents are not received by the deadline your application will not be considered for admission. 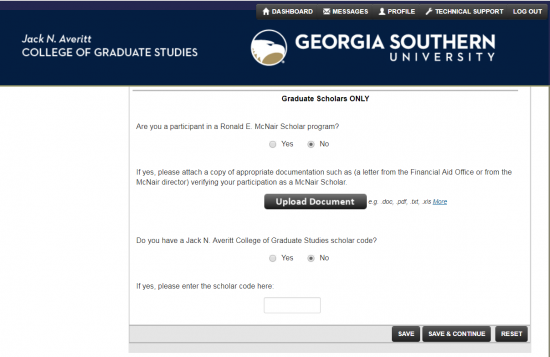 Q: Do I need to provide transcripts from all of the institutions I have attended? A: Yes! We require a transcript from each institution from which you have received credit. You can apply with unofficial copies of each transcript, official transcripts are only required if you are accepted to the program. Q: Do international students have any additional admissions requirements? More information about international students admissions requirements.